Britons believe a second Brexit referendum would not be accepted by the public and could end in calls for a third vote or civil unrest, a poll has revealed. 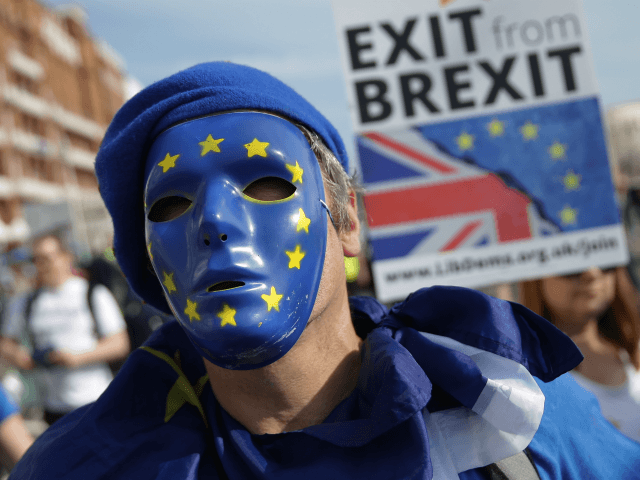 The publication of the survey came hours before a planned march in London calling for a so-called ‘People’s Vote’ — or ‘Losers’ Vote’, according to critics — which anti-Brexit organizers claim will attract up to 100,000 people. Just 16 per cent of voters think the issue would be settled for the foreseeable future by re-running the EU referendum, the YouGov poll for The Times found. 31 per cent said that people would campaign for yet another referendum after a second, and the same proportion said a second vote would risk civil unrest. The poll also found the public almost unanimously think the Prime Minister is not doing well in the Brexit negotiations. Just 3 per cent said Theresa May was getting a good deal on Brexit, while 25 per cent thought a different leader would have done better. “We are demanding our democratic voice be heard on Brexit. Since the referendum in 2016, new evidence has emerged on what we were once told would be ‘the easiest deal in history’,” march organisers claimed. The consequences of a Remain vote have also changed, however, with the EU continuing to expand and acquire new powers, and its governing bureaucrats claiming Britain would have to surrender its multi-billion pound budget rebate in order to change its minds and stay in the bloc. WATCH | "This is a march by people who are LOSERS" – Richard Tice on today's pathetic #LosersVote event, with a warning that pro-Brexit truckers could block London if democracy is betrayed! Wealthy celebrities are reportedly funding 150 coaches to bus in protestors from all over the country to boost numbers at the march today. The 30 sponsors and supporters include the writer Armando Iannucci, the former footballer Jamie Carragher, and the singer Olly Alexander. Moreover, Guido Fawkes is alleging that some of the groups promoting the march are in fact “EU funded sock puppet organisations” — citing documents showing transfers of 300,000 and 350,000 euros to European Alternatives and the European Movement, in particular.